‘Donald Trump is hustling the American people.’ — Rep. Hakeem Jeffries is wondering where the receipts are on some of the president’s boldest claims. 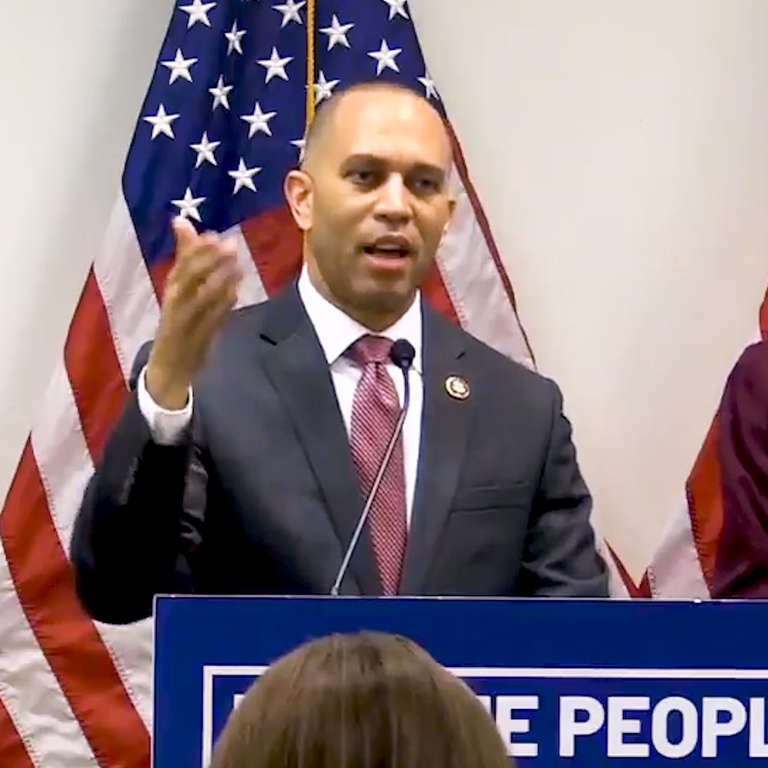 Rep. Hakeem Jeffries is calling out President Trump and the Trump administration for hustling the United States. At this recent event, Jeffries brings up Trump's claims of being a billionaire but not allowing anyone to see his tax returns, and Trump's claims of being a stable genius but not allowing anyone to see his grades. Then Jeffries questions why Trump claims innocence in the Robert Mueller investigation while the Department of Justice withholds the full Mueller report. Trump campaign officials Paul Manafort, Michael Flynn were indicted by the Mueller investigation. Now President Donald Trump and the Trump administration are claiming they have a healthcare plan to replace the Affordable Care Act (Obamacare) but as Jeffries explains, Trump won't let us see it.